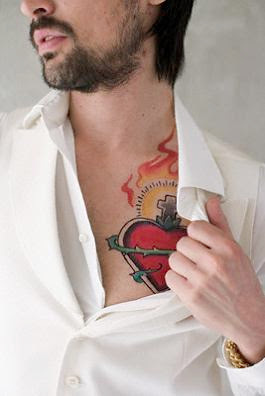 A handsome white male reveal his shirt and showing a beautiful red sacred heart tattoo on his chest. Beautiful girl with pink hair carrying her pink little puddle dog having a cute and simple pink heart tattoo below her left shoulder picture. 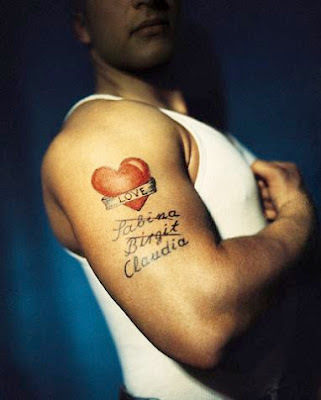 A man showing his big red heart tattoo on his upper arm with her girl friends' name.